BUFFALO, NY — A few years after it was published, when I was in grammar school, my grandmother gave me a copy of this amazing issue of The Buffalo News magazine. This cleaner copy is newer to the archives– I still have the well-worn one Grandma Cichon gave me more than three decades ago. 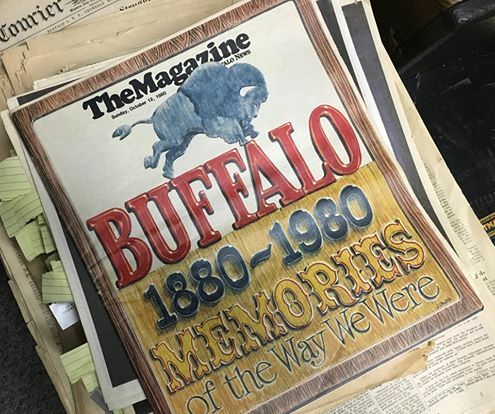 This great 64 page work is filled with hundreds of historic photos and stories—so many of the great places, events, and people that were a part of Buffalo during The News’ first 100 years of publication. Seeing the photos and getting my first glimpse at how Buffalo once was immediately triggered a love for and a desire to better understand, collect and share our area’s past when I first introduced to it by means of an old newspaper tucked into in grandma’s buffet drawer when I was in first or second grade. Grandma’s buffet was piled high with every kind of crap imaginable, including, thankfully, old newspapers. The dining room buffet was only used for supper on holidays like Easter or Thanksgiving—even though she still called the evening meal “supper” when it was pizza from Pizza Shanty or fish frys from Trautweins on Seneca Street. 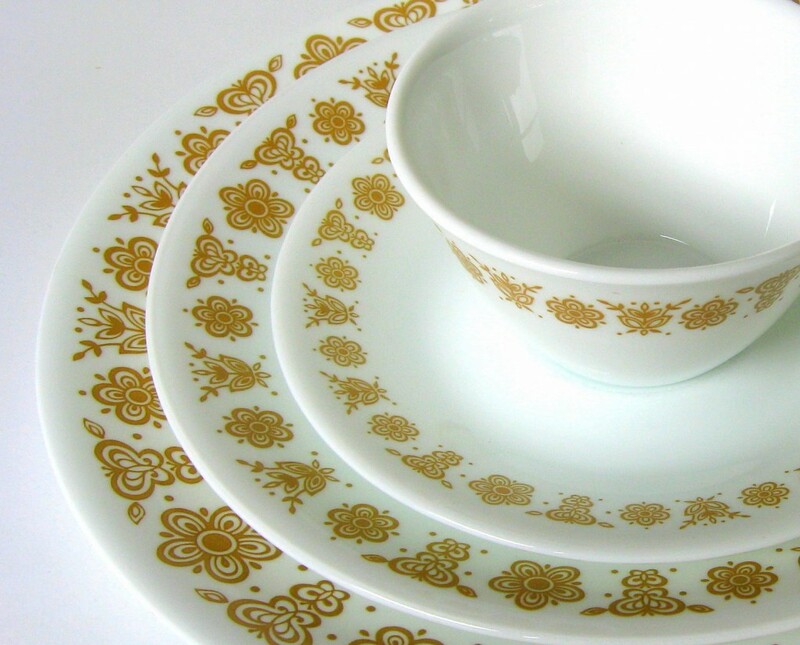 That we’d eat in the kitchen off the Corelle “Butterfly Gold” brown-flowered plates which everyone’s grandma seemed to have in the 70s and 80s. She’d entreat us to “sit in the parlor” when it got too crowded out in the kitchen, but mostly, Grandma liked people in that room where she seemed to live. She sat at the far head of the table smoking Kools, drinking instant coffee, and watching Channel 17 on the little black-and-white TV in the corner of the kitchen counter. The problem was she had ten kids, and all kinds of grandkids and all their friends and they’d all be in the kitchen when she was trying to cook. “Everyone into the parlor!” she’d say in her high, breathy, asthmatic voice… There were often so many people for dinner, she’d say “small bums on the board!” She had a piece of wood that she’d put across two chairs, and three or four of our tiny bums would fit on there. It came out as one word, but it was prayer, and that’s how our meals were blessed at Grandma Cheehoyn’s house. And since thinking and writing about this, I’ve had the insatiable urge for instant coffee. Like I did for grandma so many times, I think I’ll turn on the kettle– but unlike at Grandma’s, I don’t think there’s anyone here who’s going to light a smoke off the gas flame of the stove as the water boils.